Teaching children a new skill can be one of the most rewarding experiences in life. When you teach children how to do something for the first time, you get to experience it through their eyes. Teaching children how to write songs takes that experience to another level as you watch them find their creative sides and grow as artists and as human beings. A child who wants to be a songwriter is willing, to be honest, and face his or her true emotions. Why should you teach children to write songs? Music is a big part of our lives. It’s who we are and creates the soundtrack of our experiences and memories. We use it to celebrate, as background at home and in movies, and to learn. It has a powerful effect on our brains and emotions, and its constant presence improves our lives. When we interact with each other while making music, we build strong relationships and communicate on a deeper level. Songwriting and composing takes an enormous amount of both spontaneity and intense focus. There is also a powerful rule of cause and effect. The choices a songwriter makes in use of lyrics, rhythm, tone and many others have a direct effect on the listener. Anyone making music needs to pay attention to their actions and how those actions affect their work. Writers must be aware of where they are in a song and how each note sounds. Making music helps people experience the moment in a way they would probably never learn otherwise. 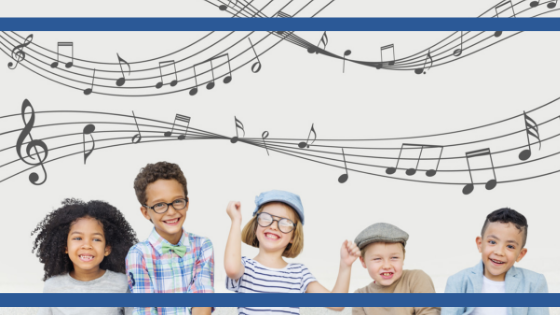 Music is one of the most natural and long-lasting methods to build language skills. Every writer must carefully consider the songwriting content from the first word until the last because every word has an effect. Learning these skills early can help with reading and even learning other languages. From singing to dancing to playing an instrument, music is best experienced through physical interaction. Children learn how to control their bodies, focusing on each movement to get the desired effect. They can learn coordination and stamina as they practice their skills. Even if they are only writing for fun, children can learn the discipline that comes with practicing musical skills. When you help them with the songwriting process, you can also help them establish a routine that will allow them to go through the process of writing and revising a song until they have achieved a completed song worthy of a songwriter’s competition. Come up with an idea for a song. If you are teaching a group, get them to brainstorm together to come up with an idea, at least the first few times. Using a whiteboard to track the ideas can be helpful. And remember, no idea is a bad idea. During this brainstorming phase, it’s important to stress that there is no editing. Make a list of some of the words you associate with your idea. Have everyone put their ideas together and talk about the similarities. Again, create a safe environment within the group – no idea is a bad idea. Choose a melody, the simpler the better. Nursery rhymes are good melodies to start with, as they are simple and memorable. Another great exercise is to have them choose one of their favorite songs and rewrite the words to go with the existing melody. Here is a chance to write a new song for Frozen. Work on writing the chorus first. It’s the repetitive part, and you can use the words the children have come up with. This is a good way to teach them about creating hooks. Now that you have a framework, a theme and, a tune, write some verses that will fit. Take a break from the song for a week or so and play other music. Then perform the music and see how it sounds. Feel comfortable revising the song as you need to. Being willing to change and edit are important parts of the discipline of songwriting. The look of joy on a child’s face after hearing their completed masterpiece is a reward in itself. Once they have written their first song, children will feel a sense of accomplishment that can’t be taken away. There is a thrill that comes from knowing that they created something that didn’t exist in the world before and can live forever. This excitement is contagious and gives them confidence that they can write a song. At that point, children know that they can do it, and they can keep writing songs and getting better. As they progress and become more skilled in language and music, they will very likely start doing creative activities with no encouragement. Songwriting skills lead to other long term skills and accomplishments. Children who practice music have higher IQs, higher test scores and better spatial-temporal skills. Songwriting is also a great way for children to process their feelings in a positive, constructive way. It can become a powerful life skill they can use to handle difficult situations in their lives. It can also increase empathy in children, as writing from someone else’s perspective allows the writer to imagine life through another person’s eyes. Experts don’t think that music itself makes people smarter; they believe that all those benefits come from practicing the skills necessary to make music. With songwriting, the musicians get an extra advantage in that they have their own personal work that they created. So don’t be afraid to share your songwriting skills and passion for music with the future writers of the world and experience the true power of music. About us: Foxhedge Music is a management company and recording studio located in historic Leipers Fork. Our mission is to support and encourage songwriters. We believe they are the back-beat of Music City, while we continue to invest our time and resources in the Music City community. Through the Music City SongStar Songwriting Contest, we want to give songwriters a chance to have their music heard. We’re believers in creativity, chasing dreams and getting the chance to pursue your passion.